Come and enjoy a contemporary CG artist work both intuitively with images and intentionally with digital video, music and programming technology. In addition to the original artwork, the artist will use his own custom-built software to project a sound-reactive version of the ForeverScape for opening night. This exhibit will celebrate crossing the 300-page threshold. If you haven’t already, see the scape at “ForeverScape dot com” (not as good as real-life). This event is more experiential than talk-based. Using German-based software VVVV (or V4 for short) with patch-based programing language that essentially connects boxes with wires (see screen capture). The object-oriented programming, primarily in C is used to manipulate 3D, MS DirectX and graphics cards for video. The demonstration will use applied effects, tweeked in real time and driven by music. This is a free event for all. 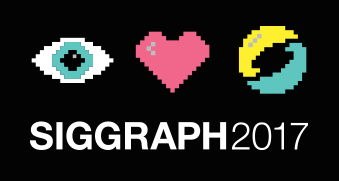 This and other Cascade ACM SIGGRAPH meetings are free to Cascade Chapter members. In this case, nonmembers will not need to pay an admission fee at the door. Annual local membership can be purchased at the event for $25.00 a year for professionals and $18.00 for students. We accept cash or checks onsite or credit cards online at cascadesiggraphjan2011.eventbrite.com. There will be a no-host bar with drinks and food available for purchase. “The ForeverScape was born September 26, 2009. ‘There are worse things to be obsessed with’ some say. Is it biographical? Well, it has become something beyond me, but I can’t help being infused in it. In a strange way, the ForeverScape creates me more than I create it. It haunts my dreams, flashes at me while walking to the local pub to draw. My initial motto was, ‘It goes, until I do.’ A bit bleak, but the ’scape is really just an excuse to persue that which is unfollowable.” — Vance Feldman. The Cascade ACM SIGGRAPH Chapter exists to serve the needs of the Oregon and Southwest Washington computer graphics industry and students. Through meetings, workshops, conferences, and other activities, the Cascade ACM SIGGRAPH Chapter works to promote an increased knowledge of and greater interest in the educational, artistic, and scientific aspects and applications of modern technology to graphics, enhancing communication between persons in Oregon and Southwest Washington that have an interest in any aspect of computer graphics. For more information on Cascade ACM SIGGRAPH and membership registration, please visit the Cascade ACM SIGGRAPH website at http://www.cascade.siggraph.org/.